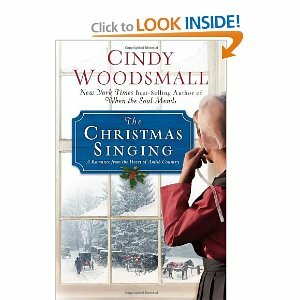 The Christmas Singing is a quiet novel set in the current day. Mattie and Gideon grew up together in their Pennsylvania Amish community, and eventually were engaged. However, Gideon broke Mattie’s heart when he broke up with her three years ago. 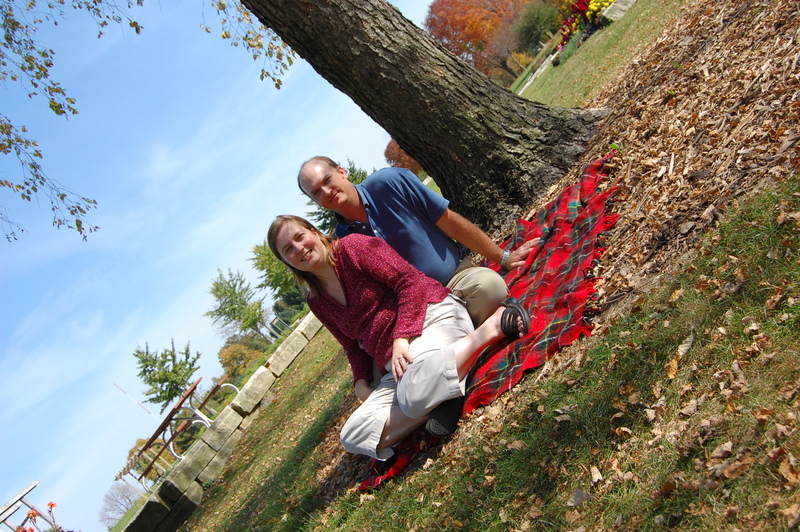 Mattie gathered herself together and moved to live in the same Ohio town as her brother. There, she was able to follow her dream of opening a bakery and built a small, but successful company. She even started to move on and met a new man from the local Amish community. Sol has a steady, quiet demeanor that appeals to Mattie after her relationship with Gideon. When Mattie is faced with the destruction of her company, she runs into Gideon again. She is forced to confront her feelings for him, her feelings for Sol, as well as her desire to reopen her business. Mattie has always believed that she was the wronged party in the breakup between her and Gideon. However, things are not always as they appear. Gideon has had a very good reason for breaking up with her – one that Mattie has to take the time and the reflection to discover. Mattie has a standing engagement for the Christmas singing. Either she goes to her hometown singing with Gideon, or she meets Sol at the singing in Ohio. Whichever one she chooses will determine her future. I liked this story. I thought that it was a great story and I liked how calm the writing was. I had the feeling that I was getting to know these characters, even though it was a short novel. I liked that Mattie seemed to be more “worldly” than some of the other Amish heroines. She seems so very creative and her bakery has allowed her to earn a living doing something that she loved. I was caught up in the differences between Sol and Gideon. While I wanted her to pick the right man, I could see how she would be conflicted, given the circumstances. I received this book from WaterBrook Press for the purposes of reviewing it. I was not required to write a positive review. All opinions expressed are my own. This was written at St Martin’s University in 1998. Growing up in Iowa was more fun than it sounds. Every summer, my mom and dad would load up us kids and trek us halfway across the state to my grandparents’ farm outside of Ames. Admittedly, this doesn’t sound like that much fun either, but when you are a kid and you get to spend from the day after school gets out to the day before school starts again, it’s a blast. Three months of sun, being outside with animals, spending time on rainy days making all sorts of little projects Grandma saw on TV, is a kid’s dream come true. I spent every summer from when I was born until I started high school at my grandparents’ farm. I guess I didn’t realize until I was older just how much I appreciated being there for long periods of time. Not only did I get to spend time with relatives that I only saw every couple of months, but I was exposed to an entirely different atmosphere than at my parents’ house. 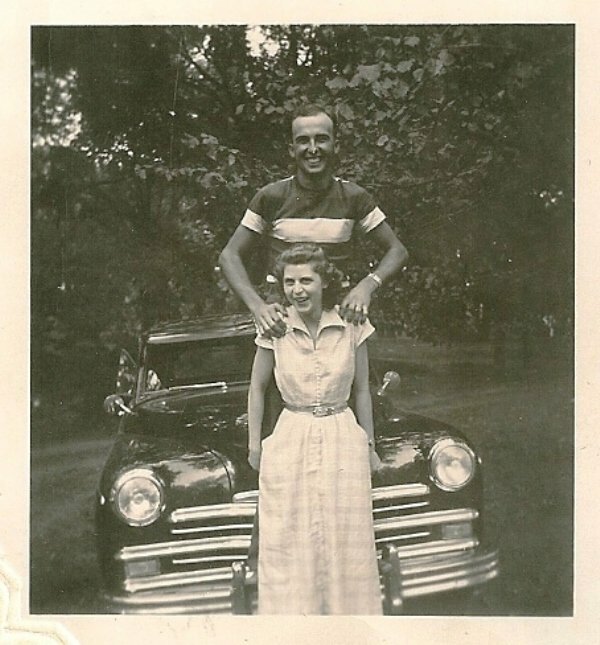 Mom and Dad lived in the city, but Mom had grown up on the farm. At this point in my life, I realize that those moments spent next to my grandparents and great-grandparents are irreplaceable. The images that I remember are of fields of corn in the summer…actually walking between the rows and pulling weeds and tassels; rows upon rows upon rows of soybeans…again, actually walking between the rows and spraying weeds for hours on end; rows of mown hay being bundled into bales…and more bales…and more bales. Then there are the fun images – those of a calf first learning how to stand, all wobbly and scared. A Brown Swiss cow standing in the midst of all the black and white Holsteins chewing her cud. Getting up early in the morning to go feed the calves and to help Grandma with her chores (and Grandpa too…if you got up early enough). Walking what seemed to be HUGE herd of cows down the road to the other form…and scared that they would run away and then what would happen? I remember picking flowers, picking corn, picking beans (green beans, not soybeans), and my favorite — strawberries. There are certain smells that always will take me back: the smell of a cow lot or pig lot (no one else seems to like that smell), the smell of fresh cut grass; the smell of my grandma’s house on anything she sends me; the smell of cookies and cakes and roast; the smell of corn on the cob just before it’s time to take it out of the pan to eat! It is funny how something so simple can bring back a wealth of memories and feelings that you had forgotten about. I was always amazed how Grandma kept up with all the people that were in and out of her house. The “boys” (aka my uncles) were (and still are) always coming and going. There is memorabilia all over the house from when they were in 4H. My favorite picture is the large framed picture of Uncle Charles showing the cow. That picture hangs over the bed in the basement. There are running jokes about how slow Grandma eats, or how she is always going to clean off the pool table, or how she’s going to get a head start on her Christmas cards. I think that other things were just more important to her, and she wanted to make sure her cards and letters had her personal touch on them. I remember when Great-Grandma was still alive and living at the other farm. I used to walk over there to make cookies with her. Great-Grandma had the coolest house – it was old and had all sorts of nooks and crannies to hide in. At the other farm, the cow pasture (a real pasture) had a stream. I was only allowed to walk along the stream one time. Great-Grandma also had to get up really early and give the older calves their milk. That was always scary because we had to go down into the basement (which everyone knew had a snake in it) then mix up the powdered milk with the water and VERY carefully walk up the narrow staircase to go outside. Even if I went back now, I would still fall back into the same pattern that has been in place since I was born. I would still get to sleep in the “Big Kid’s” room. I would still sit at the same place at the kitchen table. I would still know where everything was, because nothing has been moved in years. Grandpa would still take a nap before lunch in his recliner, while Uncle Charles would take his nap after lunch either on the living room floor or downstairs. Grandma would still take forever to eat and would fall asleep in her recliner at night. Grandma still measures the grandkids (and great-grandkids) on the refrigerator. She still threatens to swat us with a fly swatter or make us sit in the corner if we misbehave. There is a continuity at the farm that I haven’t found anywhere else. It’s almost as if the farm exists in its own time warp. I can remember when things were a little different. The farm had its own gas station (for lack of a better description). Uncle Mark lived at home (he’s the youngest), and he drew pictures and portraits. Grandma drove. Grandma kept a bigger garden – almost part of field. I remember when Grandpa still grew sweet corn and we spent a lot of time husking it in the back of a pickup, then carting it into the house for the “womenfolk” to boil it, take it off the ears and freeze it. Looking back, I realize that even though they weren’t obvious to me at the time, I learned a lot of lessons about life that have stayed with me. The value of hard work and the benefits you receive from a job well done. The satisfaction of playing when all the work is done, and even how to make what seems like a tedious job fun. Note: In the 13 years since this was written, a lot has changed. Grandma died a few years ago after being sick with Alzheimer’s. Grandpa no longer actively farms, although he occasionally raises some pigs for Iowa State. The other farm is gone, it was used for a controlled burn a number of years ago. But the feeling of family, of continuity, of love, still remains. It is, and always will be, the center of our family’s gatherings. 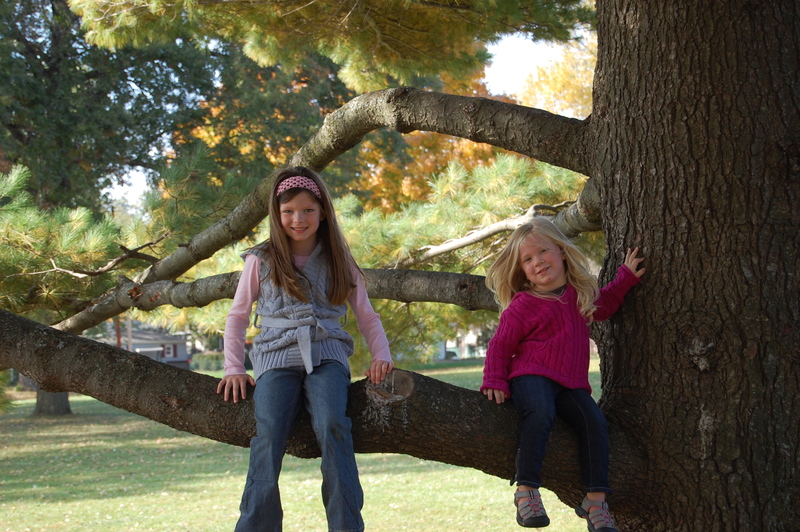 Today I am thankful for two wonderful little girls. They came into our life just when they were supposed to. Watching these two grow, learn, and evolve has been a journey. It’s always so entertaining to see what keeps them occupied. With Autumn, give her a sketch pad or a book and she is happy. With Skylar, give her a coloring book, some Playdoh, or just sit with her and she is happy. I can’t wait to see what the future brings for the two of them (and for us). There are days I still can’t believe they are ours. Thank you girls for bringing light and joy to your parents. Today, I give thanks for my husband who has been my partner for the last 15 years. We have weathered many storms together, and I have always known that he is there for me and I am there for him, no matter the situation. He is always there to balance me and lift me up. From that day 20+ years ago when we first met to today when we woke up, every day has been treasured. Sure, we have changed along the way, but we have changed together. I am looking forward to our future. Thank you, my love for taking this journey with me. Casting Samson is almost three stories in one. The primary story is Deborah’s. She arrives at her boyfriend’s apartment in London after a cancelled “spa day” to find him coming out of the shower with another woman. Deborah then goes to her parent’s home to gather herself back together. She quickly becomes enmeshed in the village events, even helping with a village production of biblical and local stories. One of her jobs is to find someone for the role of Samson. Her story weaves through the book, and you get a sense of a young woman trying to find out what she really wants out of life – is it big city living or small village comfort? Deborah can’t answer this for herself until the very end of the book. The second story is Hugo/Hugh Moreton’s. He is a Templar Knight in the 1100s. We are introduced to him as he is leaving his ancestral home to journey to the Holy Land. He feels forced to leave because of his love for his brother’s wife. The village legend in Deborah’s time is that Hugo Moreton built the church in Deborah’s village. We see bits and pieces of his story throughout the book, sometimes from his viewpoint, sometimes his brother’s or his brother’s wife’s. The third story is Anne’s. She is a young widow living in the same village as Deborah. Like Deborah, she has been pulled into helping with the village production. She inadvertently makes an opponent (they really aren’t enemies, but aren’t really friends) out of Professor Toby Duggan, who doesn’t believe the village claims of a Templar church. Anne becomes obsessed with proving him wrong, even though he tries to work with her to prove or disprove his theory. In all, I liked this book. It was a quick read with mostly interesting characters. Two of my favorite secondary characters were the elderly people in the village. Neither had married, but they were involved in everything and very spunky. One of the problems I had with it is that I felt like it tried to be too much. In the beginning, a mysterious voice/person calms and comforts Deborah when she arrives at the village church. That is never explained – it just happens and then the story moves on – was it Hugo? was it the village priest? It just didn’t seem to have a purpose. Another example is that occasionally Deborah gets visions of Hugo and family. Again, it just didn’t seem to have a purpose. While it was interesting learning about Hugo and hearing his story, it didn’t really feel like it meshed with the rest of the book, until the last few pages. I liked Deborah’s story. Although she seemed a bit too “much”, I thought that it worked for her age and her story. I liked Anne a lot as well. I would have liked to know more about her. 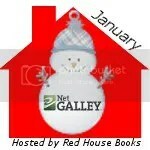 I received an free copy of this book from the publisher using the NetGalley system. I was not required to write a positive review. All opinions expressed are my own. Two days ago, we brought our Duchess’ remains home. It was rough. Seeing her little paw prints on the clay disk brought back how much we have missed he. I’m glad to have her home, and glad that she won’t be far from us ever again. Over the last two weeks, it’s been an adjustment getting used to not seeing her. It still feels weird that we aren’t giving medicine every night and every morning. I have caught myself a lot asking Eric if he’s given her the medicine. It’s an adjustment. Almost every night, she sat on the back of the couch above my head and swatted me with her tail while I watched TV. I can’t begin to say how much I miss that. How she would jump up to really high perches and then hide there for hours just watching you. She would spend hours in the kitchen on top of the upper cabinets just watching people and the dogs. How her face never photographed the way I saw it – I could never understand that; she was so beautiful, but it never truly came across in pictures. How precious were her kisses – she wasn’t a licker (unlike Harvey), but when she licked you, you knew you were special. Sometimes when we made dinner, we would leave the pan on the stove for a bit. We always knew if she found it because we would hear her tags clank on the side of the dish. She loved hamburger, although she always dropped it on the counter. She never turned down a plate of tuna and would come running for her share. She loved watching the fish (when we had them) and the birds outside the living room window. She would sleep on the floor next to my bed. It got to the point that I could wake up at almost any time and if she wasn’t on the bed with us, I could look down and she would be on the floor. When we first adopted us, she wasn’t a real affectionate cat. She didn’t really want to be held, unless it was on her terms. A couple of years ago, after I was laid off and was home all day every day for a month, she got to the point that she wanted to be next to us. She wouldn’t always stay long, but she came and sat with us and on us. She would sleep on me at night, or sleep right next to me. She was just very independent and a true “CAT” in every sense of the word. But she loved us and we loved her. I still can’t believe she’s gone. There’s a hole in my heart that I can’t fill. I find myself looking for her when I come home, or reaching for her when I am watching TV. I knew it would be hard, but I never thought it would be this hard. Thank goodness for Eric and the girls. They are keeping me occupied enough so that I can’t dwell on it. I know that we will get through it and eventually the pain won’t be as much. It’s just hard to explain to people who haven’t gone through it. Thankfully, some of our friends and family have gone through it and having that support/understanding has been invaluable. Our thanks pour out to them. We love you and miss you Duchess.